After almost seven years at Cal Poly, Provost and Executive Vice President for Academic Affairs Kathleen Enz Finken announced her retirement on Tuesday, Jan. 15. Though the date is not concrete, Enz Finken said she will most likely retire after the end of the 2018/2019 academic year. University Spokesperson Matt Lazier said there are currently no details about hiring her replacement. As provost, Enz Finken served as the senior member of the President’s executive management staff and President Jeffrey Armstrong’s second in command. 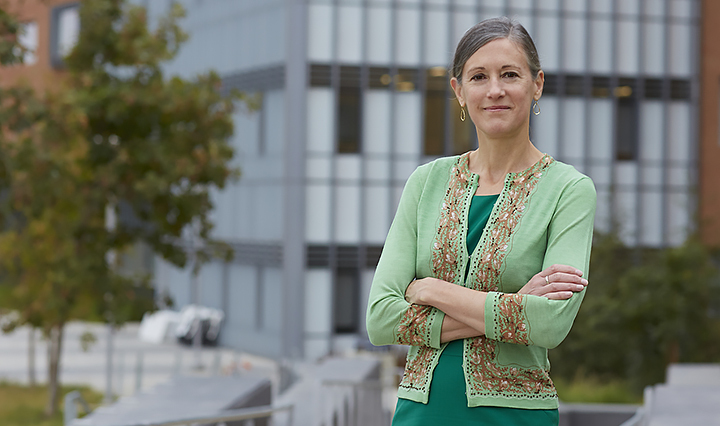 She provided guidance and support for leadership, faculty and staff in all six of Cal Poly’s colleges, along with other offices, including Financial Aid and Admissions, according to the Academic Affairs website. Enz Finken wrote in a letter to employees and faculty yesterday that she made her decision based on confidence in her dedicated team, Armstrong’s excellent leadership and the current stability of the President’s Cabinet, who will provide support during the transition of leadership. She also said four years is a typical term for a provost, whereas she has served seven. Enz Finken is retiring from not only seven years as provost at Cal Poly, but a total of 26 years in higher level education and 11 years as a provost. Prior to working at Cal Poly, from 2008 to 2012 Enz Finken was provost and vice chancellor for Academic Affairs at the University of Wisconsin-La Crosse. She had formerly served as the dean of the College of Arts and Humanities at Minnesota State University, where she began her career as an art history professor. The provost stepped away from her position for six weeks due to cancer-related surgery in 2015. Enz Finken said her health is not a reason she is leaving but rather a reminder.